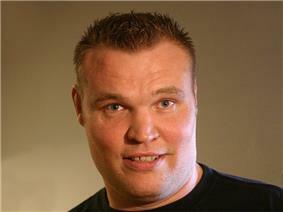 Sem "Semmy" Schilt (Dutch pronunciation: ; born 27 October 1973) is a Dutch former King of Pancrase Openweight Champion. Schilt is the most decorated Heavyweight kickboxer in history, having won five major tournaments. He is widely regarded as one of the division's all-time greats. Schilt began practicing Kyokushin kaikan at the age of 8 as both of his parents were practitioners. He later switched to Ashihara kaikan at age of 12 and earned the rank of black belt at the age of 18. On 19 November 2005 Schilt made his first appearance at the K-1 finals. Schilt beat Ray Sefo in the quarter finals and the defending champion Remy Bonjasky by knockout in the semifinals. Schilt then met Glaube Feitosa in the tournament finals and won by knockout due to knee strike to win his first K-1 World Grand Prix title. On 31 December 2005 at the K-1 PREMIUM 2005 Dynamite!! event, he defeated former four time K-1 World Grand Prix champion Ernesto Hoost. Schilt lost twice in 2006 against Peter Aerts and Hong Man Choi but still made it to the finals after beating Bjorn Bregy by knockout. He defended his title after defeating Jerome Lebanner, Ernesto Hoost and Peter Aerts all by unanimous decisions. On 3 April 2007 he defeated Ray Sefo by second-round KO to become K-1's first Super Heavyweight Champion at K-1 World Grand Prix 2007 Yokohama. Semmy faced and defeated the K-1 Hawaii GP Champion Mighty Mo by unanimous decision on 23 June 2007 at the K-1 Amsterdam GP, defending his Super-Heavyweight Title. At the 2007 K-1 World Grand Prix Final Eliminations in Seoul, South Korea, Schilt faced Paul Slowinski. He won by KO in the first round from a knee strike. With the win, he qualified for the World Grand Prix Finals. In the first round of the World Grand Prix 2007 Finals, Schilt was matched against Brazilian Karate fighter Glaube Feitosa. Semmy survived a near knockdown from one of Glaube's famed Brazilian kicks to win by unanimous decision. This marked the third time he had defeated Feitosa in his career. In the semi finals he met Jerome LeBanner for the second time. Schilt was put on the defensive for most of the first round. Just before time expired, Schilt landed a knee strike which badly hurt LeBanner. Before the second round started, LeBanner was noticeably limping in his corner. Early in the second round, a low kick from Schilt sent him to the canvas in obvious pain. LeBanner was able to make it back to his feet however his corner threw in the towel to avoid further injury. The final match of the 2007 K-1 World Grand Prix was a rematch from the year before, with Schilt matched up against fellow Dutchman Peter Aerts for the third time. The match came to an abrupt end 1:49 in after Aerts injured his knee and could not continue. With the win Schilt became the third man to win the K-1 World Grand Prix three times, and the only man in history to win three consecutive Grand Prix crowns. In September 2008, Schilt lost a decision against Peter Aerts at the K-1 World Grand Prix Final 16 in Seoul. Semmy had a small role in the feature film Transporter 3 as a henchman. On 16 May 2009, Semmy lost to Badr Hari via first round KO at the Dutch Kickboxing event It's Showtime 2009 Amsterdam, Netherlands. The fight was for the It's Showtime World Heavyweight Title. At the 2009 Final 16 Semmy beat the rising Romanian Daniel Ghita by unanimous decision. At the final selection he chose to fight Jerome LeBanner and went on to defeat him for the fourth time in his career in the first round by KO. In the second round he was matched against Remy Bonjasky, whom he also defeated for the third time by KO in the first round, after getting knocked down himself. In the finals he beat Badr Hari by KO in the first to win his fourth GP title, also getting the record of fastest GP win with a total time over all 3 matches of 355 seconds. With the win he became the second man in history to win the WGP Title four times (Ernesto Hoost being the first). In April 2010, he successfully made his fourth title defence against teammate Errol Zimmerman by unanimous decision. At the 2010 Final 16 he beat Hesdy Gerges by a close decision, after sustaining a cut to his shin in the fight that required 4 stitches. In the semi finals of the K-1 World Grand Prix 2010 Final he was defeated for the first time in a tournament by Peter Aerts in a gruelling decision. In 2012 Schilt returned to the ring with a more aggressive style earning a convincing victory over Guidon and Zimmerman. At the sixteen-man 2012 Glory Heavyweight Grand Slam at Glory 4: Tokyo - 2012 Heavyweight Grand Slam in Saitama, Japan on 31 December 2012, Schilt rematched Brice Guidon at the first stage of the tournament. He floored the Frenchman with a left jab in the opening seconds of round two before finishing him with the same technique soon after. At the quarter-final stage, he went up against Rico Verhoeven and, as he won the first of the two, two-minute rounds, was given his passage to the semis via unanimous decision. There, he used his eleven inch height and twenty-seven kilogram weight advantage to outpoint the Turk to another two-round unanimous points verdict. A highly anticipated match-up with Daniel Ghiţă awaited him in the final and, after a slow start to the three-minute first round, Schilt sent the Romanian bruiser to the canvas with a left high kick. Despite Ghiţă seemingly recovering from the blow, referee Joop Ubeda controversially called a halt to the contest, giving Schilt the TKO win and the inaugural Glory Grand Slam crown. It was reported on 26 June 2013 that Schilt would be retiring immediately after being instructed to do so from his medical team due to a heart condition that was discovered. In 2013 Semmy Schilt was officially inducted into the CBME's Dutch National Hall of Fame for the Martial arts. Win 23–13–1 Gan McGee Submission (armbar) PRIDE Total Elimination 2004 000000002004-04-25-0000April 25, 2004 1 5:02 Saitama, Saitama, Japan Qualifies for PRIDE Critical Countdown 2004. Win 17–9 Osami Shibuya TKO (punches) Pancrase – 2000 Anniversary Show 000000002000-09-24-0000September 24, 2000 1 8:55 Yokohama, Japan Retains Pancrase Openweight Title. Win 15–9 Kazuo Takahashi TKO (strikes) Pancrase – Trans 3 000000002000-04-30-0000April 30, 2000 1 7:30 Yokohama, Japan Retains Pancrase Openweight Title. Win 14–9 Yuki Kondo Submission (rear-naked choke) Pancrase – Breakthrough 10 000000001999-11-28-0000November 28, 1999 1 2:28 Osaka, Japan Wins Pancrase Openweight Title.